The Department of Labor and Employment (DOLE) on Tuesday vowed to prioritize the reemployment of workers of the Hanjin Heavy Industries Construction Philippines (HHIC Phil. ), who will be affected by the company’s rehabilitation. “We will prioritize your reemployment with various construction firms here in the Philippines. Place your trust in DOLE and we can help you to immediately land a job. You are all highly skilled workers and your expertise are in-demand here in our country,” Labor Secretary Silvestre Bello III said during a dialogue with the workers and their union. Bello added that he is set to meet this week with some Cabinet secretaries to discuss possible employment opportunities which can be offered to the displaced workers. “We are also eyeing your reemployment in the various government projects here in the country. Your skills are needed by our government in line with the ‘Build, Build, Build’ program of the Duterte administration. Some officials have also requested that I do not deploy you overseas because the demand for the construction industry here in the Philippines is higher,” the DOLE chief added. Reports from DOLE Central Luzon Regional Director Ma. Zenaida Campita showed that most of the workers of Hanjin are highly skilled construction workers, and welders, while their average age ranges from 25 to 40 years old. While their work schedules have already been reduced, some remaining 3,800 workers of Hanjin expect their contracts to end on February 15. Bello added that should Hanjin resume operations, he will convince the new management to prioritize and re-hire those who were displaced because they have the necessary skills and experience in shipbuilding. The DOLE regional office continues to profile Hanjin workers to easily assist them and facilitate their reemployment. Aside from reemployment, the labor department will also assist in the facilitation of the workers’ separation pay, a moratorium on their social benefits, and the processing of the refund of the employment bond which the service providers/agencies have deducted on the salaries of the workers. Bello is also looking to request funds from the Office of the President to provide emergency employment just like what was provided to workers in Boracay when the island underwent rehabilitation last year. 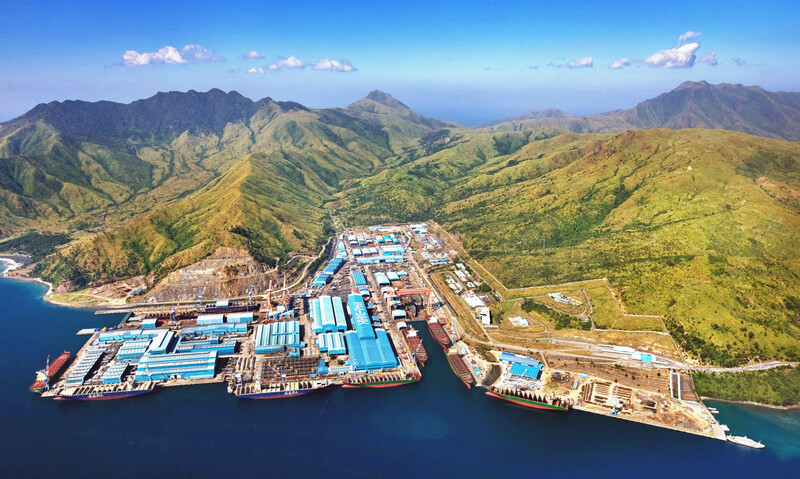 In a “commencement order” dated Jan. 14, the Olongapo City Regional Trial Court Branch 72 has formally declared the debt-ridden shipbuilding firm under corporate rehabilitation.